This is simple rebus. What is this pic rebus saying? While I feel @S. M.'s answer is the best depiction I could think of currently, the bounty suggests this is not the desired answer... It would be nice to get a solid response to their answer though. 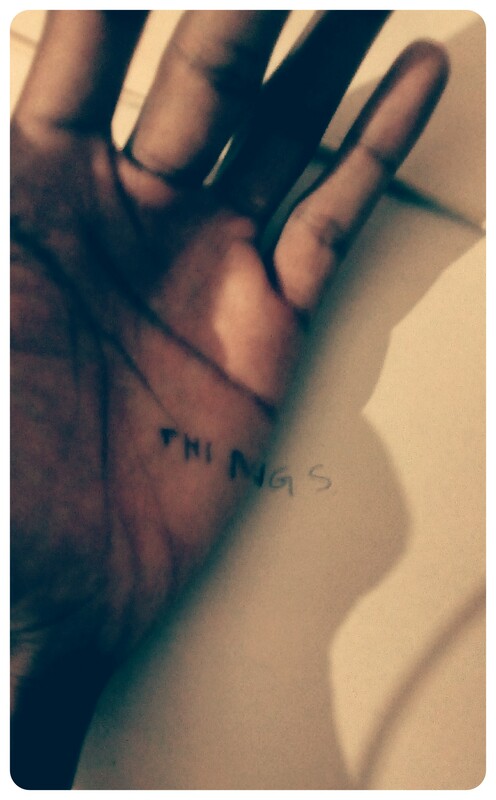 The word 'THIN' is written in darker ink than 'GS'. “EVARELTO” - What does this mean? What movie title does this represent?